So far, Lionsgate is doing a pretty good job of distancing their Hellboy reboot from previous films in the franchise. Aside from Big Red himself and Professor Broom, the new movie looks like it features a fresh cast of characters. 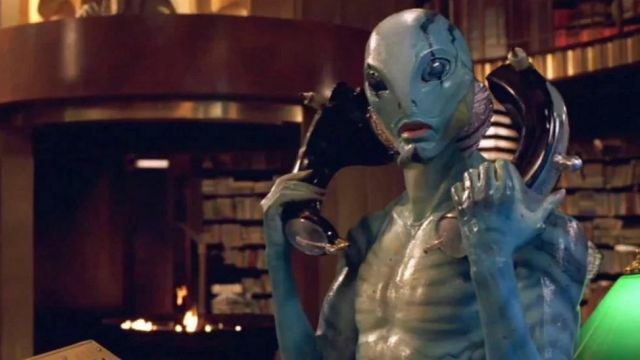 However, one fixture from the original series that’s definitely going to be missed this time around is Abe Sapien, who was memorably played by Doug Jones in Guillermo del Toro’s films. Since Abe is such an integral presence in Mike Mignola’s Hellboy comics, it’s only a matter of time before he gets his second wind on the big screen. But in case there was any doubt, Jones promises that won’t be happening anytime soon. It’s clear that Jones still has an attachment to the character after playing him in 2004’s Hellboy and 2008’s Hellboy II: The Golden Army. However, despite any pernicious gossip, this doesn’t mean he disapproves of the studio’s decision to reboot the series. Jones also used the opportunity to clarify prior comments he made during an interview with The Hollywood Reporter last month. During that conversation, he revealed that the producers offered him a cameo in the new film. His commitments on Star Trek: Discovery kept him from accepting, but Jones wasn’t happy with the way THR construed his remarks. Would you have liked to see Doug Jones make a cameo in the Hellboy reboot? Who would you cast as Abe Sapien if a sequel gets made? Tell us what you think in the comment section below!